How important are Micro-Nutrients to stay fit? Macro-Nutrients have always been given importance for health and athletic performance but, somewhere the micro-nutrients are completely left out. “Vitamins and Minerals”, as the name comes from a Latin word “Vita” meaning life and “amine” as the biochemist called Casimir Funk(1884-1967) who learnt about them thought that they contained amino acids, hence the word “amine”. “Minerals” are substances that are found naturally within the earth’s crust. 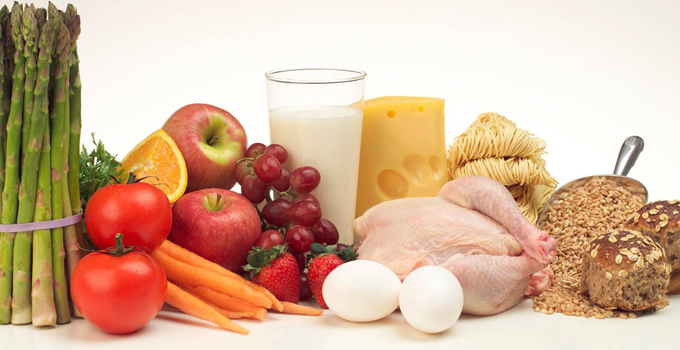 Vitamins and minerals are the micro-nutrients, as they are measured in milligrams or micrograms. Vitamins are called “essentials” as the body cannot produce them, they have to be consumed through our food or through the dietary supplements to get them adequately. Vitamin and minerals play a very important role in metabolism of carbohydrates and fats which are used as fuel by the muscles. They are also involved in repair and building of muscles after a training session. For everyone who trains hard in the gym,the energy metabolism and protein synthesis is absolutely important, these functions are driven by the “metabolic enzymes”. Metabolic enzymes are substances that carry out loads of functions in the body for reproduction and replenishment of the cells. Pancreas are the primary organs that produce and release these metabolic enzymes. These enzymes are also responsible for flushing out toxins from the body and also producing energy from the nutrients that we consume. One of major causes of wrinkles, bone loss and illness in elderly people is the inability of the pancreas to produce these metabolic enzymes due to ageing. These metabolic enzymes require coenzymes which will initiate and aid in the function of enzymes. The B vitamins serve as the coenzymes that helps in conversion of food into fuel and energy production. The various B complex vitamins like the Thaimin (B1) and Niacin(B3) not only help in conversion of nutrients into energy but, Niacin also helps in manufacturing hormones and regulate the cholesterol. Riboflavin (B2) and Panthothenic acid (B5) helps in production of energy and producing red blood cells in the body. Pyroxidine (B6) is specially important for those, crazy for muscle building and body building as this vitamins helps in protein building and strengthens the immune system. Biotin (B7), Folic acid (B9) and Cobalamin (B12) again help in conversion of nutrients into energy. Cobalamin helps in keeping the red blood cells healthy thus enhancing their ability to carry oxygen to the cells. Important to note Biotin (B7) deficiency is generally found in people who consume raw eggs, the egg whites contain a protein called the avidin which binds with Biotin and stops its absorbtion, cooking the eggs deactivates the avidin .As well as, consuming raw eggs is risky as it results in serious health problems like diarrhea and vomiting due to presence of a bacteria called the Salmonella. So all those “Rocky Balboa” fans, need to watch out before gulping a pitcher full of raw eggs. Vitamin A,C and E are of equal importance for a exercising indiviual. Exercise leads to development of Reactive Oxygen Species(ROS) or commonly known as the free radicals. ROS is a phrase used for free radicals produced by molecular oxygen. The production of oxygen based radicals (ROS) is harmful for all the aerobic species. These oxygen based radicals develop even during normal aerobic respiration. But, while exercising, the demand for oxygen is increased for the cells, specially during endurance training and during the EPOC(excess post exercise oxygen consumption) which is post weight training. These ROS cause cell damage, drop in immune system, bone loss and muscle loss resulting to a drop in performance. Some amount of Vitamin C and E is already there in the tissues, which is transfered into the bloodstream to handle minor stress while aerobic respiration. Having said that while exercising the stress increases tremendously as the demand for oxygen is very high, hence there is depletion of Vitamin C and E. These should then be immediately supplied through dietary supplements in adequate quantity. Vitamin A plays a crucial role not only as a antioxidant but also to improve vision. Any physical activity depletes these vitamins and minerals, and the need for these vital nutrients increases. They have to be supplied through dietary supplements to achieve optimal performance in the workouts and to stay fit. Certified professional fitness trainer, Mohammed Tufail Qureshi has worked with reputed gyms in the city. As a freelance personal trainer Tufail guides people in right exercise, nutrition and proper rest and recovery methods necessary to stay fit. A commerce graduate from Mumbai University he chose to work with GOQii as it’s a new concept and it intends to change the world by simply helping people change certain habits. The idea of developing good habits and motivating individuals to lead a healthy lifestyle is something which he says is very different from what he has been doing all this while as a personal trainer. Tufail is a regular weight trainer himself and works out six days a week. He strongly believes that an individual is not fit until he has developed the 5 basic components of fitness namely cardiovascular endurance, muscular endurance, muscular strength, flexibility and ideal body composition.